A sweet friend of mine suggested I get on the Pinterest train a little while ago. I had NO idea what the heck it was, but boy am I glad I accepted her suggestion!! What a fun little site this is! If you've got a little bit of free time, take a little gander at my profile! And if you're feeling really adventurous, create your own account and "follow" my board! I'd love to share things I love with you all and see the things that inspire you as well. I think this might be my favorite color right now. I'm still begging my husband for this. 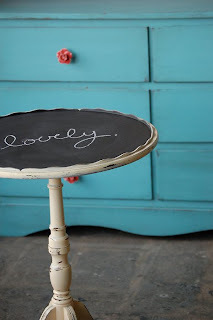 I've sort of become a lover of chalkboard paint! We have it everywhere! 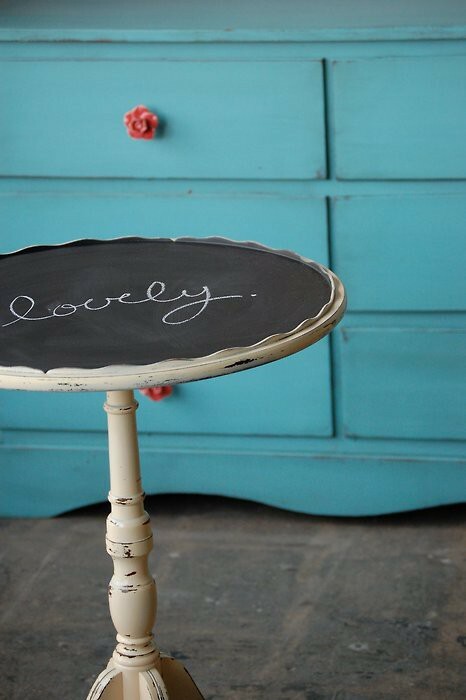 I want that top turquoise clock. So cozy and warm. MmmMMmm.